Don’t let winter weather delay your construction project. Here are five ways cold-formed steel can help you continue building during winter. We’re months away from the winter construction season. Who’s worried about thermal work clothing, ice removal operations, and the structural integrity of materials in below-freezing conditions? It’s spring. The days are warm. The sun is bright. It’s time to be outdoors. We hear you. But now is actually an ideal time to plan for winter. By taking the right steps now, you may be able to save time, money, and headaches on an upcoming winter project. For example, large projects that stretch over multiple seasons may require special sequencing so that, for instance, you don’t pour concrete in January in Minnesota. Instead, you slate that pour for September and use the frigid months to erect cold-formed steel (CFS) assemblies. Or, you might save money on temporary heating for concrete curing and cut labor hours by using panelized CFS framing systems — or even switching the structural framing system entirely to load-bearing CFS. In these examples, CFS is essential to keeping the construction timeline on pace throughout the cold weather. Here are five reasons why CFS is ideal for building during winter. CFS framing and panel erection on a job site is not restricted by weather conditions. CFS does not warp, twist, or bend when exposed to the elements, and it is not affected by cold temperatures. That’s not the case with other building materials. To reach its necessary strength, concrete “can’t be allowed to freeze for the first 24 hours after being poured,” according to an article on ConstructionDive that cites the Portland Cement Association. The same principle applies to building walls with masonry in winter. The mortar mix used in bricklaying must be kept from freezing. In contrast, no special measures are needed to protect CFS’ structural integrity during winter. Cast-in-place (CIP) concrete tends to incur higher costs during wintertime versus other seasons. That’s because CIP concrete requires time to cure, and that time is extended in cold conditions. Ready-mixed suppliers often charge extra to mix and deliver concrete in frigid temperatures. General contractors, or concrete subcontractors, have to rent temporary heaters and extra plastic sheeting to maintain sufficient temperatures for concrete to set. But, CFS requires no special temperature or humidity conditions in order to be installed. 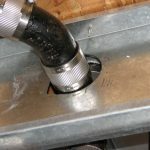 Once CFS framing is installed, the mechanical, electrical, and plumbing (MEP) trades can get right to work. They don’t have to use their own equipment to create punchouts or alter the framing assemblies to accommodate their runs. CFS wall studs and floor joist systems are normally fabricated with factory-made punchouts for MEP equipment pass-throughs. For example, most CFS joist punchouts will align with the joist assembly. This allows the MEP trades to run pipes, electrical conduit, and HVAC ducting efficiently. 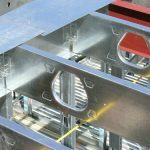 CFS framing makes it easy for these runs to stay within the plane of the floor assembly, thereby integrating everybody’s work in an easy and cost-effective way. In other words, the predictability, accuracy, and inherent features of CFS studs and joists enhances overall job site productivity. CFS fast-tracks work, and may help MEP trades finish ahead of schedule — perhaps before winter even begins. 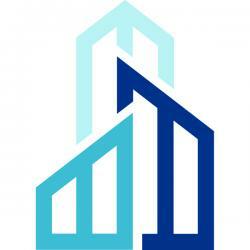 Consider the Trafalgar Campus of Sheridan College, Oakville, Ontario, which needed a new student dormitory in time for the fall semester of the following year. Work was ready to begin in the fall the year before. How could the GC build without a Canadian winter interfering with the delivery timeframe? The solution was to use load-bearing CFS walls instead of CIP concrete or concrete block and have the concrete foundations poured by autumn. By pouring the structure’s foundations in the fall and installing load-bearing CFS framing during winter, Sheridan College and its public-private partner, Campus Living Centres, finished the project early — and likely saved hundreds of thousands of dollars in carrying costs because of it. The crews installed load-bearing CFS wall systems and hollow-core floor and roof joists in 14 to -4 degrees Fahrenheit (-10 to -20 degrees Celsius). Concrete structures would not have gone up as efficiently, if at all, in such temperatures. 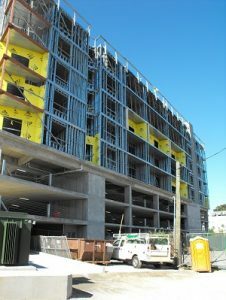 The CFS framing also helped to shorten the construction cycle. In the end, students got their new dormitory in time for the new semester. 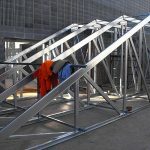 CFS lends itself to pre-fabrication. This is work that can be done off site under controlled, regulated, and safe conditions. Sheridan College benefitted by using a prefabricated structural system that could support a variety of exterior claddings. CFS exterior wall panels were later finished with an Exterior Insulation Finishing System (EIFS). The combination of prefabricated CFS panels and EIFS cladding saved the owners money by not having to heat the scaffolding needed for an in-situ stucco application. “It was a great design — speedy and perfect for the winter timeframe,” the installer said. CFS is an all-seasons product that saves projects time and money — as long as you start planning now for projects that will span the next winter. To learn about additional ways to save time and money on your next project, download our eBook, “Building Within Budget: Ideas for Shaving Months and Dollars Off Your Next Construction Project.” If you have further questions or would like to talk through your project’s planning or design process, reach out for complimentary project assistance.